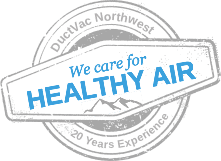 DuctVac Northwest is an indoor air quality company. DuctVac Northwest is not in the market to sell you a new furnace and unnecessary parts. We are the specialists providing you with cleaner and healthier indoor air for your home and business. We have 20 years experience serving clients just like you.